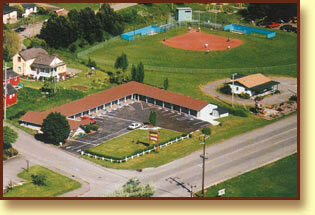 Humboldt Gables Motel, in Rio Dell, is an excellent choice for your vacation or business trip to Humboldt County. Whether you’re heading south to take in the scenic redwood forests along the Avenue of the Giants, or taking the back way into the Victorian Village of Ferndale to do some shopping, you’ll find our motel provides the perfect spot to start from, and a quiet place to return to at the end of your day. Family owned, the Humboldt Gables Motel prides itself on providing you with clean, comfortable lodging, at a budget price.